Should You Invest In Customer Service Training For Your Employees? Training your employees to service your customers can be beneficial for your company and bring great results in due course of time. Here's a quick set of inspiring reasons to believe in bringing this to your work table. Read ON! 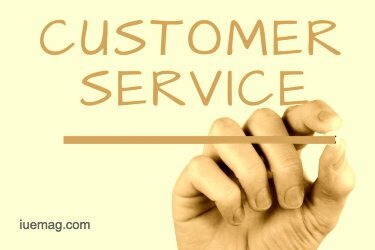 All businesses will fully understand the importance of customer service, purely because poor customer service will tarnish your brand image for good. In addition, it’s vital to remember that customer service can come in a range of different forms, such as face-to-face, over the phone or now social media now that we’re in the digital age! Therefore, whilst someone might excel at over the phone customer service, they might find it more difficult when providing high quality customer service in person, sending all of the wrong signals to the customer. But, if you’re sceptical about what customer service training can provide your employees, we are here to make your decision that bit easier. Ultimately, whilst your customer service training is targeted at your employees, the outcome of it will have a major impact on customer satisfaction. There’s nothing worse than speaking to a member of customer services who are downright rude and uninterested, but investing in customer service training could completely train that. With the appropriate training, your employees will begin to understand the do’s and don’ts in customer service, ensuring that all customers remain satisfied with the service given, no matter what platform it’s over. As the manager of your department, or even the CEO of the organisation, you will want everything to function the way it’s supposed to – the most important being your employees. All of your in-house services will be carried out by your employees, and you’ll want to be certain that they’re doing a seamless job. By investing in customer service training for your employees, they’ll soon become your greatest assets and ensure that all processes within the customer services department are pristine. Retaining your employees is a huge deal in every business, so by offering these training sessions, you can keep your greatest employees and carry on providing that seamless customer service that makes your organisation so great. Without motivation, you’re essentially useless. When working within the customer service department, it can be easy to lose all motivation, particularly when you’re dealing with awkward, unnecessarily rude customers on a daily basis. Not only is this just the epitome of frustration, but it also gives off the impression that it must be you that’s the problem, which could eventually lead to giving up all together – this cannot happen. By installing customer service training into your workplace, you can make your employees feel inspired and ready to tackle any customer service situation due to their new-found and developed skills! Sure, you might have a department at your organisation specifically for customer service, but what happens when they’re all occupied or you need to take over their job for a while for some unknown reason? Whatever the circumstances, it’s always useful to ensure that all of your employees are sufficiently trained within customer services, regardless of the department that they usually operate in. Having employees that are flexible will make work much easier for everyone, and will once again provide them with strong levels of motivation as they’ll feel as though they can tackle absolutely anything! Of course, investing in customer services training won’t be cheap, but when done correctly, this expense will pay off for your company in the long term. If your employees are providing the highest standards of customer service to your clients, your profits are almost guaranteed to rise due to the increase of customer satisfaction. So, once you’ve looked past the amount that you’ll have to pay for training, you’ll be able to see the fantastic benefits that customer service training actually has. What do you follow for your company? Do you know of hacks that have helped your team and people? Share it here with us in the comments below. Any facts, figures or references stated here are made by the author & don't reflect the endorsement of iU at all times unless otherwise drafted by official staff at iU. This article was first published here on 9th December 2017.